Earn 199 - 348 points upon purchasing this product. 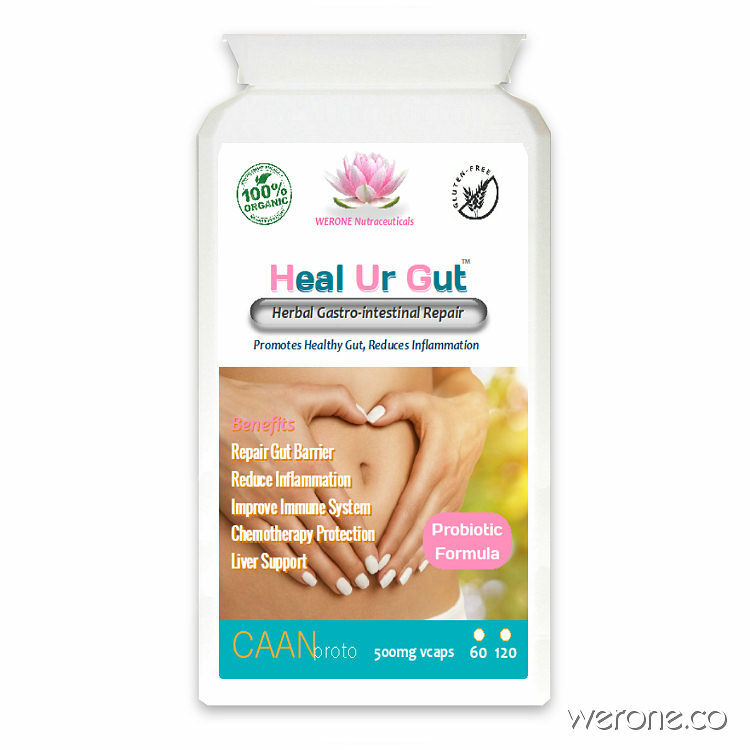 Heal Ur Gut™ (HUG) capsules are a collagen-based formula aimed to support the nutritional healing of the lining of the intestine and to help tighten the junctions between the cells preventing larger proteins getting into the bloodstream, Heal Ur Gut™ Capsules also support the liver. Use 1990 - 3480 points to purchase this product! When these substances pass directly into the bloodstream, it provokes an immune response that can lead to food sensitivities, systemic inflammation, autoimmunity, and a variety of diseases. Conventional medicine recognises that increased intestinal permeability (leaky gut) exists, but it does not recognise the role that it plays in overall health and the development of disease, however this may be changing. Suggested Usage: Take 2 capsules twice per day prior to food or as directed by your healthcare professional. Best combined with HUG Glutamine Drink, Omega 369 and MEGA Greens and if recovering from Chemotherapy, Radiotherapy, Crohns, Colitis or Antibiotic damage, add in HQT Capsules .